Unpretentious and straight-friendly gay bar originally opened in 1998 by drag queen Dusty and John, overseen since 2004 by Don, with partner Arjan going 50/50 in 2010. 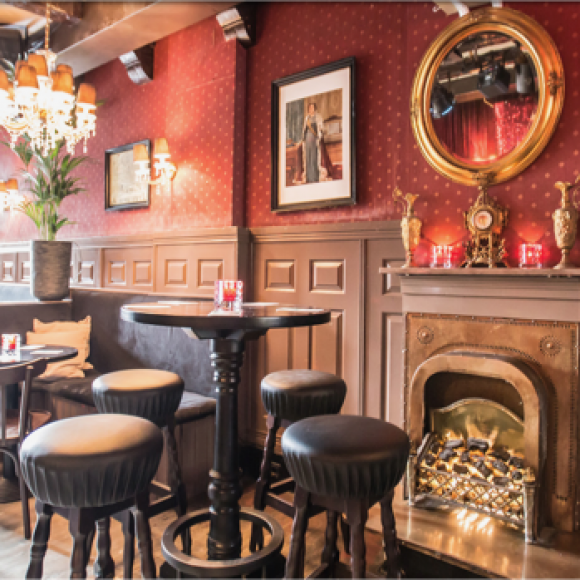 There's a warm lushness to the place, with plants, banquettes and shades of maroon giving a cozy/classy boudoir feel, which provides an appropriate backdrop to drag-compered bingo evenings every Tuesday. There's even a canal view out back. 2009 winner of the Gouda Peuk Award for Amsterdam's best smoking room. Note that smoking in bars stops being legal summer 2020. The most interesting place I visited in Amsterdan, handsome guys, low price and beautiful view from canal (river).